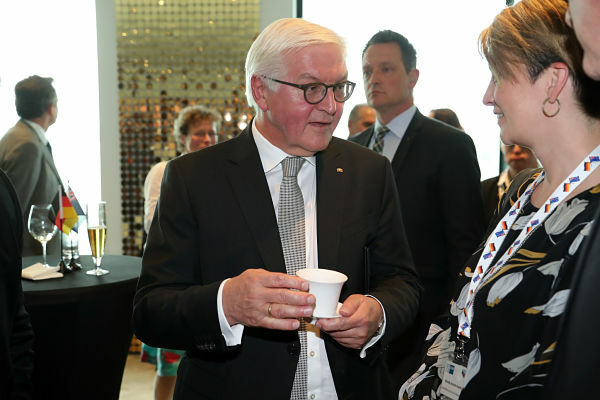 German President Frank-Walter Steinmeier got a taste of New Zealand’s national tea during his brief state visit to New Zealand this week. 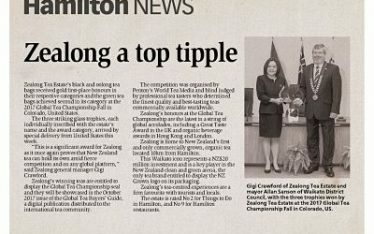 Zealong Tea Estate served a range of their certified organic teas, grown at New Zealand’s only commercial tea estate, at a reception for the President hosted by the German-New Zealand Chamber of Commerce (GNZCC) yesterday afternoon. The reception was the final stop on the President’s two-day itinerary in New Zealand – the first visit of a German Head of State to New Zealand in 16 years. 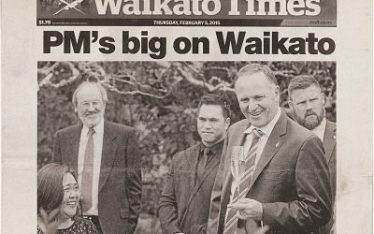 It was attended by 140 members of the German-New Zealand business community and Chamber members, who all had the opportunity to sample the award-winning New Zealand tea. Zealong Marketing Manager Sen Kong also had the privilege of meeting the President and having a short conversation with him. 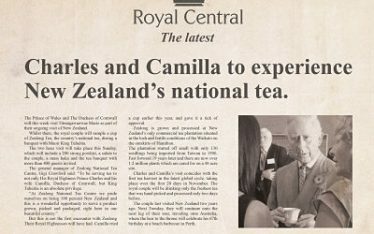 When asked if he’d like to try some New Zealand-grown tea, the President was intrigued. “President Steinmeier mentioned that he’d like to reduce his coffee consumption, so like a growing number of Germans, he recognises that tea is a healthy alternative. We offered him Zealong Green, Oolong, and Black teas, and he chose the Aromatic Oolong to sample,” Mr Kong said. Serving Zealong tea to Germany’s Head of State follows the signing of an exclusive trade agreement last year with German specialty tea retailer TeeGschwendner. “Germany is one of our biggest markets, with almost 15% of our annual tea production being sold through TeeGschwendner’s 123 German stores,” continued Mr Kong. The German Head of State acknowledged the unique tea upon leaving, remarking to GNZCC CEO Monique Surges that as well as beer, he even got the chance to try New Zealand tea at the reception.